€1440 per person with 1 night at Deluxe Camp. Upgrade to a Private Camp for an extra €65 per person. A comfortably-paced itinerary incorporating some of the most beautiful parts of Morocco; the Atlas Mountains, Southern Oases, Sahara Desert and Marrakech. The emphasis throughout on elegant accommodations and time for outdoor activities and/or relaxation. Ideal for a Morocco honeymoon, other special occasion or simply a unique introduction to travelling in Morocco in style. Arrival to Casablanca or Marrakech airport and transfer to the Marrakech palmeraie. Overnight for this and the following night at a luxurious hotel set within spectacular grounds. Your driver and vehicle are available today to take you to the Marrakech medina and gardens, or you may simply enjoy your hotel’s amenities. 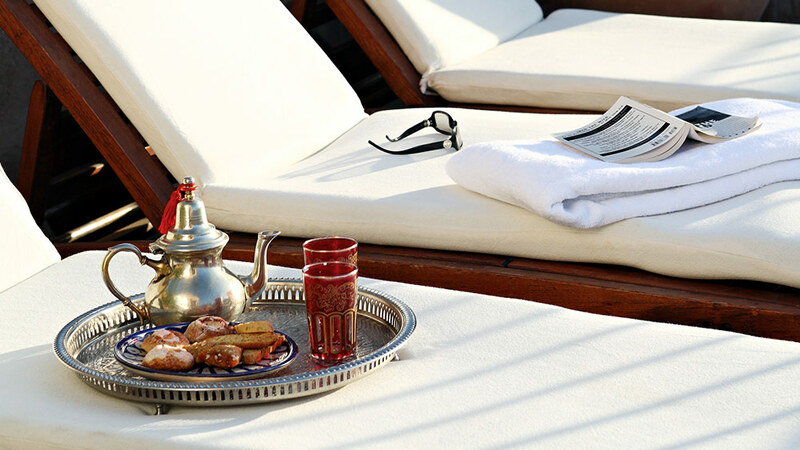 After breakfast, make a direct departure to the foothills of the High Atlas Mountains, your destination is your Kasbah hotel for the next two nights. 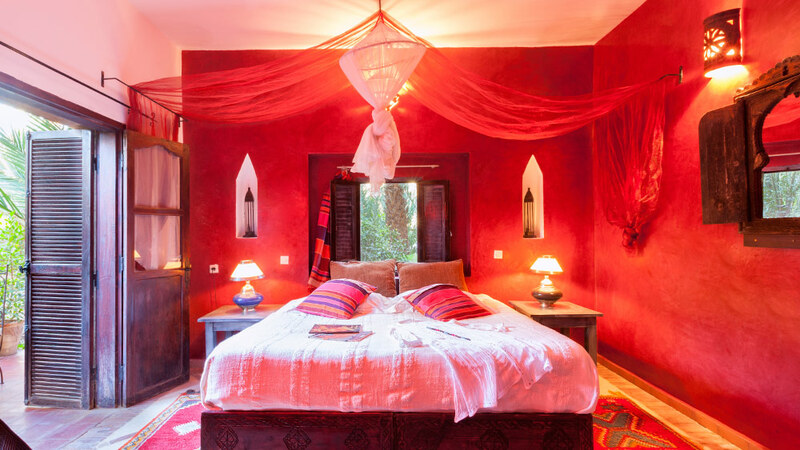 You will take a leisurely, circuitous route to reach the hotel, driving a short distance from Marrakech along the Ourika Valley before ascending to the Sidi Fares Valley. The Sidi Fares Valley is an introduction to traditional Berber dwellings built of earth and stone, and mountain-village life, it affords plenty of photographic opportunities. Expect to arrive for lunch at your hotel. A short guided walk or ride by mule-back may be arranged for the afternoon. Admire the mountain scenery with its rich tapestry of colours. Overnight at the Kasbah for this and the following night. We suggest you take a morning or full day guided trek out from the hotel in the mountain foothills (guide at additional cost which you can pay for locally on spec – please ask us to book ahead). If you don’t wish to trek for the full day (with a picnic lunch), there are options for the afternoon (such as hammam/massage on-site) or simply take advantage of the Atlas mountain views from the hotel gardens/pool, lounges. *Mountain-biking or mule-trekking can also be arranged at additional cost in advance. After breakfast, your driver will collect you for the onward journey to cross the High Atlas Mountain range to the Southern Oases. 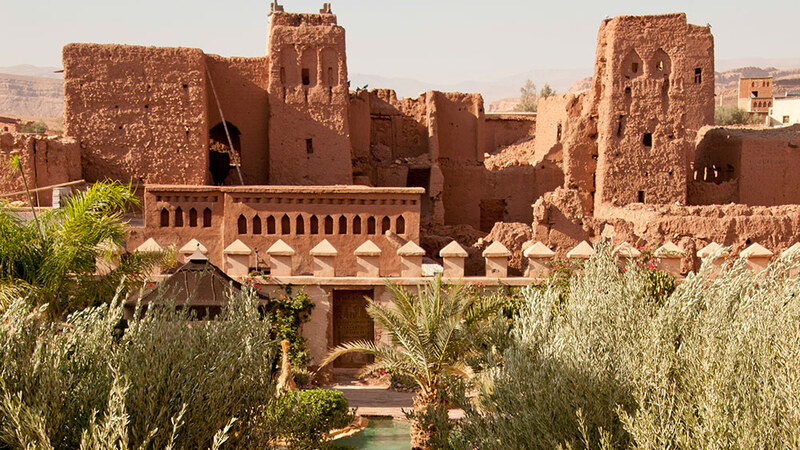 The route today offers some exhilarating driving via lush valleys and traditional Berber villages, and then descends via Ouarzazate to reach your next Kasbah hotel at the Skoura palm oasis. En-route, stop to visit the UNESCO site of Ait Ben Haddou. Spend this and the following night at Skoura. From your Kasbah, sunset aperitifs can be arranged at a unique viewpoint across the palm groves, with candle-light providing the backdrop once the sun lowers. Alternatively, a sunrise breakfast can be arranged at the same vantage point. The High Atlas mountains are a majestic sight in the distance. Today, make the drive to visit the Dades Valley and Gorge, eastwards of Skoura. A picnic hamper will be arranged by your hotel. Enjoy the varied mountain scenery in these southern High Atlas foothills. If you wish to extend the drive today, you can also visit the unspoilt Mgoun Valley (the ‘Valley of Roses’). 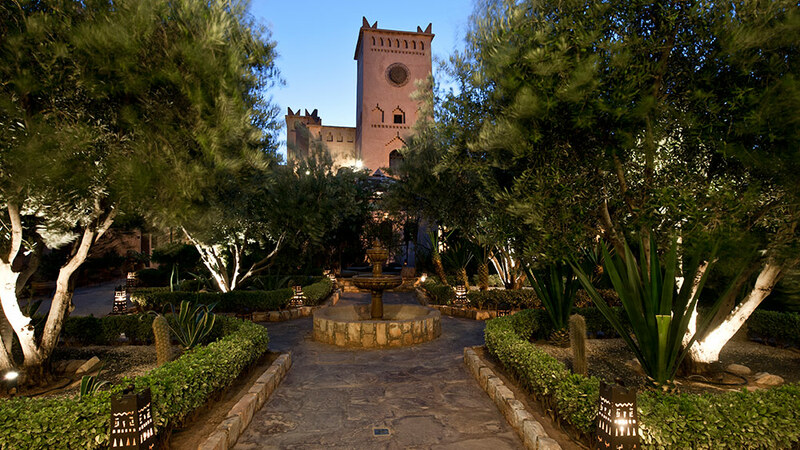 Returning to your Kasbah in the afternoon, use the spa or take a guided walk amongst the palms before sunset. After breakfast, drive south-westwards to the Sahara Desert, for your desert camp at Erg Chigaga Great Dunes. Shortly after Ouarzazate, cross the outer reaches of the Anti-Atlas mountain range, offering dramatic mountain reliefs and formations, before descending on to the course of the magnificent Draa River Valley. The Draa is flanked by vast palm oases, crumbling kasbahs and imposing mountain ridges. Reaching the end of the tarmac road at the village of M’hamid, an exciting off-road drive across the desert terrain brings you to camp in time for sunset. 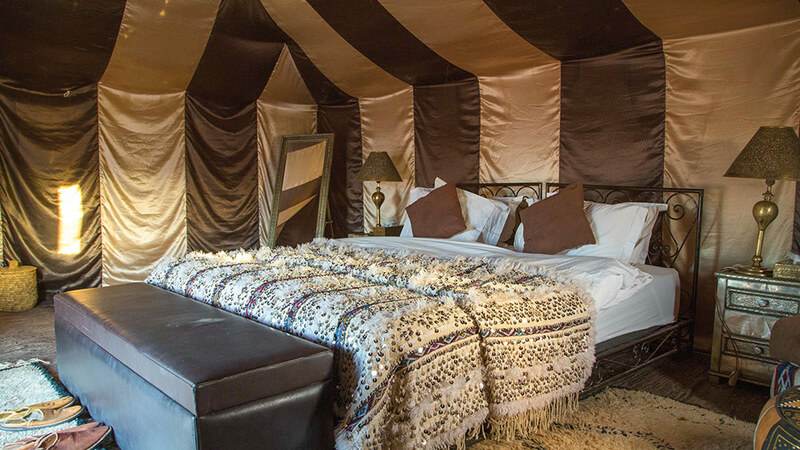 Freshen up in your tent, and then take a chilled aperitif on the rolling dunes. Watch the sunset from a vantage point. Enjoy traditional music next to the campfire after dinner. Overnight for one night in a deluxe, en-suite tent with adjoining bathroom. Wake early to admire the desert sunrise from the dunes and then take breakfast at camp. Make the day’s return journey to Marrakech by vehicle*. Exit the desert a different way, via a dried river course and the vast dried salt flats at Lake Iriqui, to reach Foum Zguid (in approx. 3hrs off-road journey). Follow the route northwards, via Tazenakht, to once more join the road to Marrakech across the High Atlas mountain range. 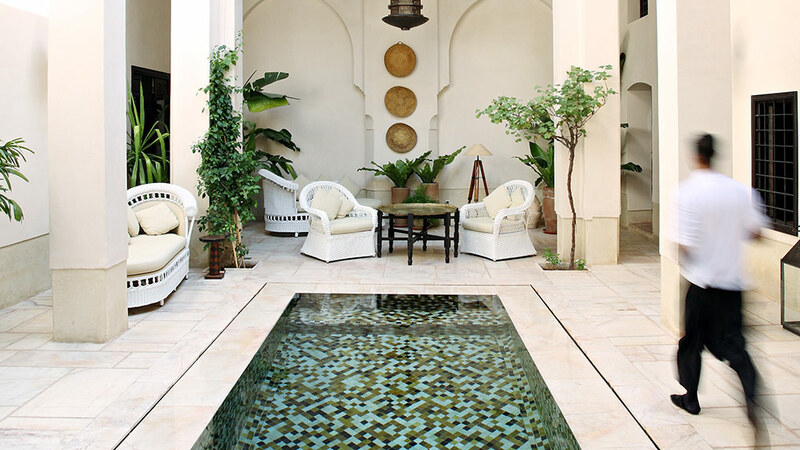 Expect to reach your Marrakech riad by the late afternoon. Stay here one night. *Enquire with us as to the possibility of a private helicopter flight from Zagora airport to Marrakech airport. Vehicle transfer to Marrakech or Casablanca airport. 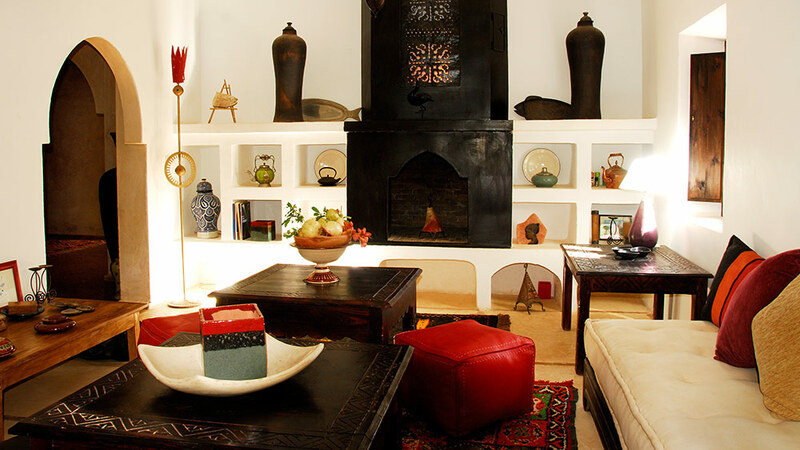 luxury riad in Marrakech, 1 night.